The beefuture project aims to save the bees from extinction. This is achieved by using disused land and diverse other areas for the settlement of bee colonies of different individual quantities. For more information please visit the website www.beefuture.eu or contact our team. We believe that beefuture is a valuable project for environmental protection, which is reasonable to invest in. As a site effect our customers can look forward to some glasses of honey as a small gift whenever we visit them. 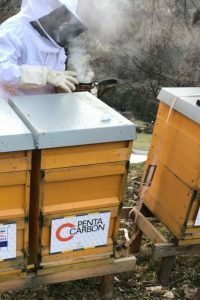 Read more about the actions that are taken by the PentaCarbon GmbH in order to assume social and environmental responsibility.